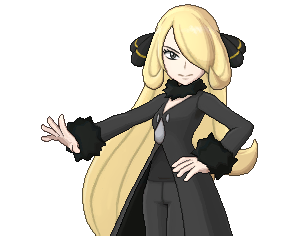 This post contains information about Cynthia in the Battle Tree portion of Pokemon Ultra Sun and Moon. This includes what Pokemon she uses during battles. Cynthia can be encountered after every 10 battles at the Battle Tree Super Single, Super Double, and Super Multi. Pokemon Trainer Cynthia’s team will be chosen at random. Since no two Pokemon of the same species may enter, only one of the two possible Held Item and move sets will be chosen. Cynthia’s lineup for each Pokemon is more predictable than the other Battle Tree trainers. This means that there is not much mind games in terms of the item and move combination you will face. However, her Pokemon have great type synergies with each other, which means that it will be a tough battle. Milotic may carry the ability Competitive therefore it is recommended to keep the Pokemon with Intimidate until Milotic has been knocked out. Be wary of the following Pokemon: Choice Scarf Garchomp, Mega Lucario, and Togekiss as these put offensive pressure immediately with little to no set-up needed. It would be easy to defeat her team if Tapu Koko is used. However, other suggested Pokemon are Focus Sash Garchomp, Mega Salamence with Dragon Dance, Sylveon, and Azumarill.